The Cherry Charm is part of the Riftwalker Set. A delicious-looking ripe rift cherry surrounded by entangling rift roots is the single most enticing sight for a Cherry Sprite mouse. Arming this charm gives hunters a chance to attract the Cherry Sprite Mouse and will funnel all rage from captured mice into the Crazed Clearing. The Cherry Charm cannot currently be bought at any Charm Shoppe; but it is available at the Marketplace. It can also be crafted. The Cherry Charm funnels all rage from any mouse caught in Whisker Woods Rift to the Crazed Clearing faction. It also is required to attract the Cherry Sprite Mouse. Gnarled Charm - Funnels all rage from any mouse caught in Whisker Woods Rift to the Gigantic Gnarled Tree faction. It also is required to attract the Naturalist Mouse. Stagnant Charm - Funnels all rage from any mouse caught in Whisker Woods Rift to the Deep Lagoon faction. It also is required to attract the Grizzled Silth Mouse. 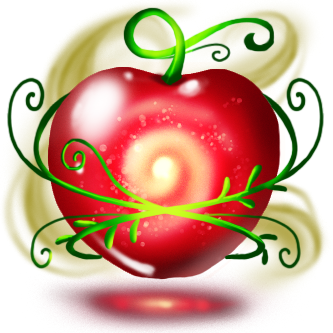 28 January 2015: The Cherry Charm was introduced with the release of the Whisker Woods Rift. This page was last edited on 8 September 2017, at 18:46.